Hwayoung and twin sister Hyoyoung’s Lovey Dovey concept photo for SPEED, a male sub-unit of Co-Ed, T-ara’s label mate. SPEED are going to release a new version of Lovey Dovey with a new music video starring the twins. Update: The MV is here, check out Lovey Dovey Plus. 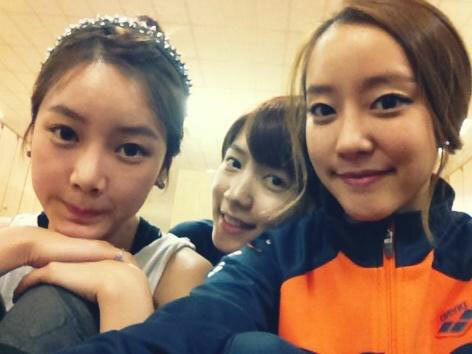 Soyeon and Hwayoung taking a selca with Rainbow’s Woori during the filming of MBC’s Idol Athletic Championship a couple of days ago. 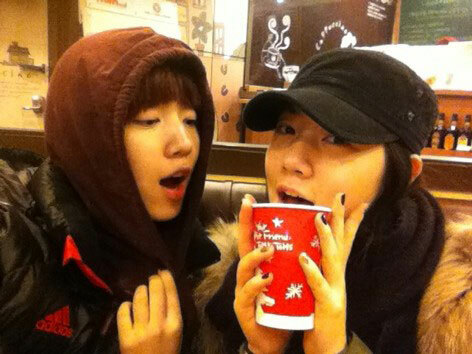 Hwayoung and twin sister Hyoyoung 2012 New Year Twitpics. 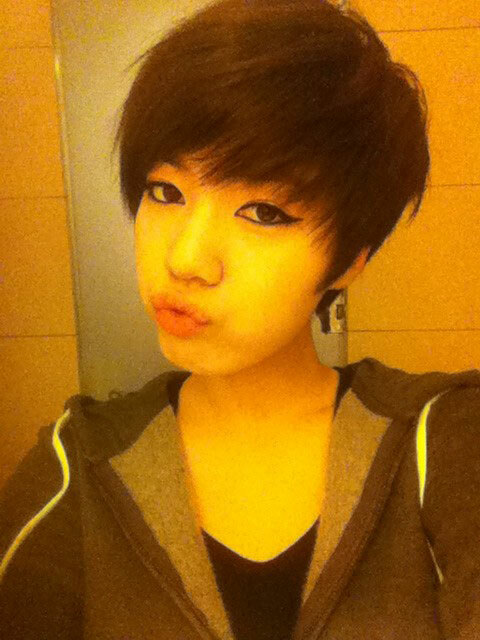 Another preaching from Hwayoung lol.